The new TETHER allows for your music to be attached to you no matter where you go. 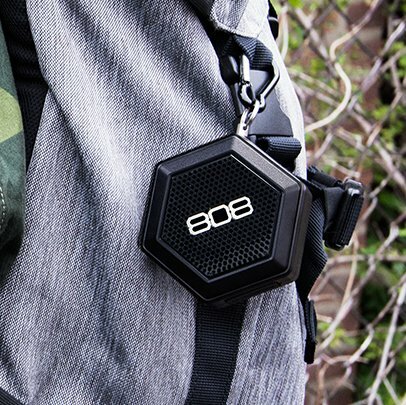 This small but powerful package offers robust sound in a go-anywhere design. With the included aluminum carabiner, the TETHER can easily hook onto your backpack, purse, belt loop and so much more to allow you to truly bring your music with you everywhere. Offering a simple one-button operation and 6 hour battery life, there is no excuse to not be TETHER'ed to your music. The HEX TETHER goes where you go and with its big sound and small size it doesn't need to be seen, but it will be heard. Small, great price, portable and amazing. Love this little speaker.